Advocare review: should you join the sports supplements empire? Advocare is a big-time sports and wellness multi-level marketing company. The MLM nutrition space is crowded with companies so you really have to bring it. With their popular workout drink, Advocare Spark, to their signing of Drew Brees, Advocare is an intriguing company. Like Herbalife, they’ve had their fair share of pyramid scheme accusations and media hit jobs (1, 2, 3), but they’re still a top 5 nutrition direct-sales lock. 1. What does Advocare sell? Nutritional products, specifically targeted to athletes. 3. How much does it cost to join Advocare? 4. Is Advocare a scam? Some say it is, including a report by ESPN that questioned the company’s business model (4), but the company allows people to purchase products as retail without joining the company, technically not making it a pyramid scheme. 6. How long has Advocare been in business? Since 1993. 7. Advocare’s revenue? $586M, 2016. 11. Recommended? Product-wise, they’re pretty good. Opportunity-wise, there are better. If you’re doing it “for the money”, there are much better ways to make money online. 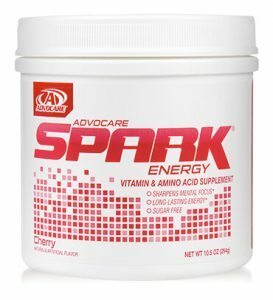 Advocare Spark seems to be a cross of a pre-workout and BCAA supplement, which you’d want to drink before and during workouts. They’re also marketing it as a “cognitive enhancer”, so i guess you could put it in the nootropic or energy drink category as well. Either way, Spark seems to have cult status with Advocare users, easily being one of their most popular supplements. What ingredients are in Spark? Taurine, caffeine, choline, l-tyrosine and vitamins like B6, B12, theomine, riboflavin, niacin, and pantothenic acid (9). Is Spark good for you? It’s ok if you’re not sensitive to caffeine. Vitamins and minerals are good for you, and they’ll help with your energy levels and muscle recovery, too. There are also 0 sugars, as they use sucralose for sweetening. This is a full-out wellness program. From a marketing perspective, it’s genius because it gets people attached to their fitness products inside the Advocare One/80 bundle as they follow day-by-day routines designated in the program to hit fitness goals. Whats inside the bundle? Spark, meal replacement shakes, MNS 3 (they’re calling this a metabolic pill, so its a hybrid appetite suppressant/metabolism booster/vitamin), and some fiber and omega 3 support supplements. And a workbook that has all the details of the program. Not a bad mix since all of those products can help people lose or maintain weight and live healthier lives. The only product that could use more explanation is MNS-3, but thats usually the case with most diet or fat burner-ish supplements. Whats the Advocare One/80 program like? 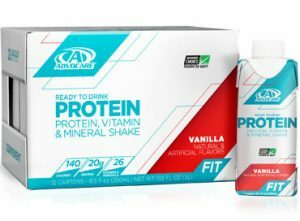 Advocare Ready-to-drink protein was designed for simplicity and convenience. Each carton comes with 20g of protein and 140 calories, making it a solid option for protein consumption post workout or for reaching your daily protein goals. For more aggressive gains, Advocare also has their Muscle Gain shake, which has 25g of protein per serving (10). Of course a few of Advocare’s products have had their share of controversy. It was discovered that their Arginine Extreme supplement was tainted with clenbuterol after Olympic swimmer Jessica Hardy tested positive for the enhancer while taking the Advocare product. They also suffered a PR setback after an ill-advised marketing campaign targeted kids for a caffeine-riddled sports drink. 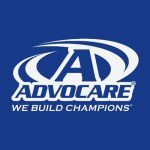 Mistakes were made but Advocare seems to have weathered these setbacks and continues to surge forward with sales and distributorships despite the bad publicity they received concerning these events. Usually management and founder don’t spell much for your typical MLM…they’re either too young to have much experience, their past is hidden from internet view, or they’re simply too shady to lend their company any cache. All that may not mean much to you- after all, what does the National Football Foundation know about MLM? But consider this: Richard Wright is a bona fide successful businessman and this is what people like that do: they collect awards and serve on boards. Just take a look at the resume of any large company CEO- you’ll see a similar collection of awards and positions. Retail Sales. Purchase products at 20%-40% discount and sell them at full retail price. The difference is all yours in profit. Your discount depends on your sales volume but minimum is 20%. Attain a level of $3,000 in the last 1-3 consecutive pay periods to hit that 40% discount level. Earn on your Distributors. You get the difference between your downlines’ discount and your own. So, if you’re at the 30% discount and your new distributor you signed up is at the base level of 20%, you get 10% of their sales. This is called Wholesale Commissions. Bonuses. To qualify for the various bonuses, you must sell at least 5 products to 5 different customers during the pay period. Keep it up or you lose all your compensation for that pay period. Advocare will actually contact your customers to verify the sales! Overrides. If you’re at the 40% level that means you attained Advisor level, which qualifies you to earn overrides of up to 7% on your downlines. It goes as deep as 3 levels. Tons of bonuses. Too many to list here, so check out the Advocare Compensation plan in its original form here. Prestige and power are good any time you can associate yourself with these qualities, so it’s certainly going to help in recruitment that Advocare is so respected and well known in the MLM world. Sure there have been some mishaps along the way- name a huge company which hans’t had PR snafus and misdirected product lines. In all of 22 years in business, there were only the 3 major issues listed above, so this is a non-issue as far as I’m concerned. Advocare’s heavy involvement with the DSA, the impressive credentials of their management, and celebrity endorsements all serve to lend their distributors the backing of a true winner in a field of copy cats. What’s better than when the Major Soccer League agrees to let you sponsor their team for 4 years? You’ll be selling to people who already know the brand. That helps with recruitment as well as with retail sales. Advocare is also very active in charitable initiatives, other sponsorships, and other newsworthy activities which should almost make it a no-brainer when it comes to marketing the product and setting up a website if that’s your route to success. Want to represent a heavy hitter in the over-saturated world of nutrition products, where branding and marketing are essentially done for you? Advocare wouldn’t be a bad choice. But if you’re in this to chase money, just stop. There are much better ways to kill your 9-to-5 job and make money online, without MLMs, recruiting, and ponzi schemes. Gotta b-slap those tacky money-chasing habits. In other words, you might like our coaching because it shows “the good life” without 3-way calls or spamming wellness products to your Facebook friends. Awesome, Abe. Looking forward to it as well. Are you talking about my non-MLM coaching that led me to digital “CEO money”? Just wondering if this is only for US only or Globally? Would love to know more. Look forward to speaking with you. Great, hope you scheduled a call. A bit harsh, but a good read nonetheless.